Pediatric Neoprene Knee Sleeve : Balego & Associates Inc. - BalegoOnline.org, Providing the Products You Want and the Services You Need Since 1984. Indicated for Joint Effusion (swelling), Knee Contusion (bruising), Knee Strains/Sprains, Patella Instability, Muscle Strains, and Juvenile Arthritis. Color: Navy. HCPCS Code: L1825 For Pediatric Line, Measure around kneecap. 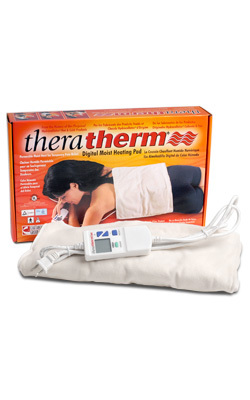 Theratherm® Digital Moist Heating Pack - Standard 14" x 27"